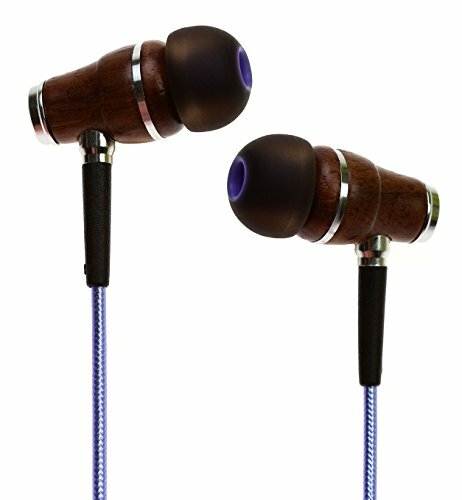 The Symphonized NRG 2.0-gunmetal in-ear headphones have nice wooden finish and offer a solid bang for the price tag, but they may have long-term durability issues. The Symphonized NRG 2.0-gunmetal in-ear headphones have received positive reviews for the sound quality for the price, with users saying they deliver a solid bang for your buck. Users also liked their overall comfort and great noise isolation. They are also said to have a good bass response that pleased those looking for that extra low end thump. Lastly, the wooden finish was well liked by most customers. However, users found their build quality to be questionable, suggesting that they started showing signs of wear and tear after a long while. They also had potential to transmit any type of bumps received by the cables into an undesirable audio signal. The Symphonized NRG 2.0 – gunmetal headphones deliver a solid bang for your buck, but may suffer wear and tear after extended periods of rough use.